Easter Decor and chocolate basket project….. 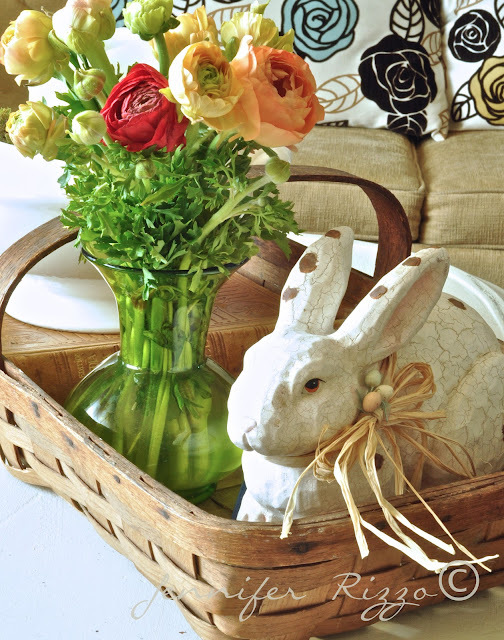 I love that Spring is coming and I love a touch of Easter decor! 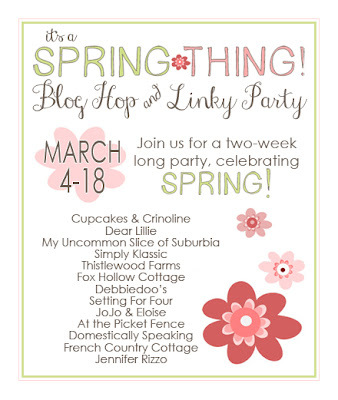 I was so honored to be asked to be a part of it’s a Spring thing with these lovely ladies, and tomorrow we are going to be hosting a link party. 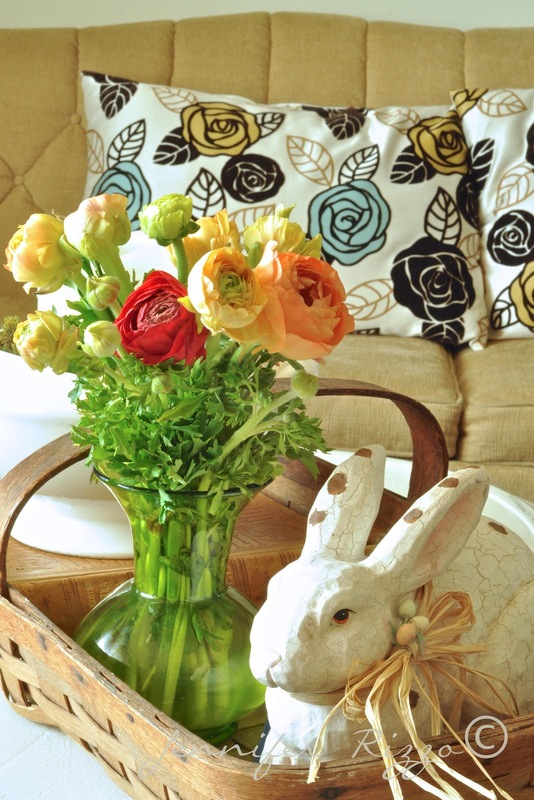 The thing I love most about Spring is bringing in the natural touches. I love this Ranunculus I bought at Trader Joe’s. The colors were so pretty. 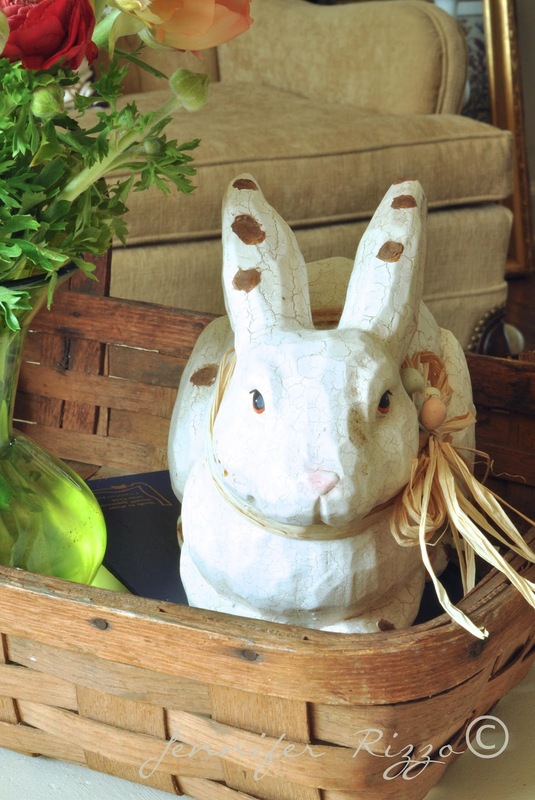 I found the cute bunny on a thrifting adventure and paid $1.99! I thought they both looked perfect together in my Grandmother’s berry basket. I love that basket. It’s over 50 years old, if not more. I think he has such gentle eyes. This is a sweet little bunny. Speaking of bunnies, I loved this chocolate rabbit I bought at Target. I thought he looked cute on his own with a few eggs scattered around. My kids are already dying to get under the glass. I wanted to share with you how the kids and I made edible easter baskets out of mini-hershey bars. You need about 6 bars to build it and a few more to melt. 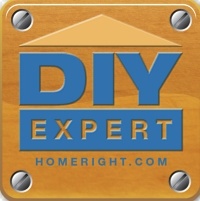 Simply trim the edges so it has a tapered end. I found later if you trim the bottom section off, they actually match up much better! 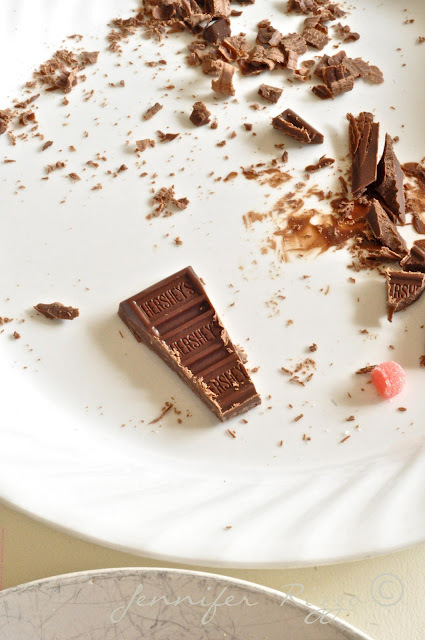 Melt the chocolate into the microwave 30 seconds at a time until it’s just melted,stirring occasionally. Let it set a minute.Check it first to make sure it’s only warm not hot before the kids touch it so they don’t get burned. Be careful because either the bowl can get flaming hot, or the top can be cool but the bottom can still be flaming hot. You can even put the melted chocolate in another bowl to make sure it’s cool enough before the kids touch it. Hershey’s seems to take a long time to set up, so even if it’s just warm it doesn’t’ harden that quickly. 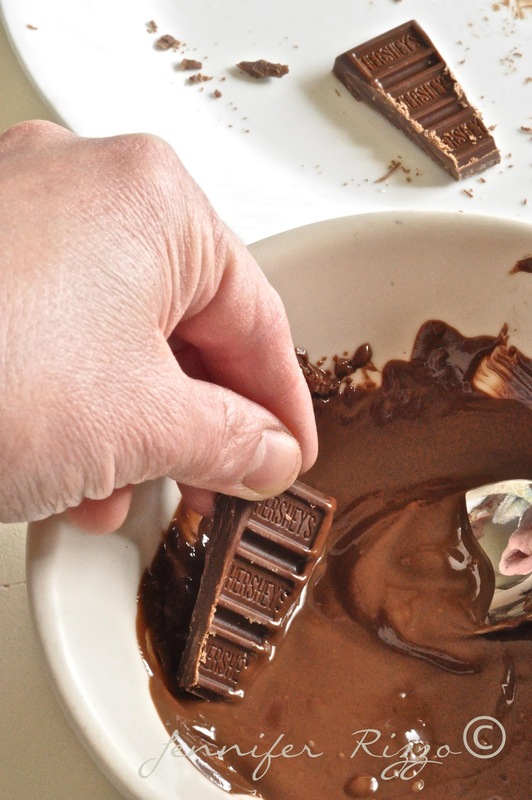 Dip one edge in the warm chocolate and hold it against another piece until hey stick. You may want to pop them in the freezer for a minute or two to get them to harden. Do this until you have a basket shape. Put it in the fridge to harden completely before using, otherwise it will fall apart. We used gummy worms for the handle stuck on with warm chocolate and filled it with some yummy eggs.I wanted to find edible easter grass, but our store doesn’t carry it. Didn’t the kids do a great job? 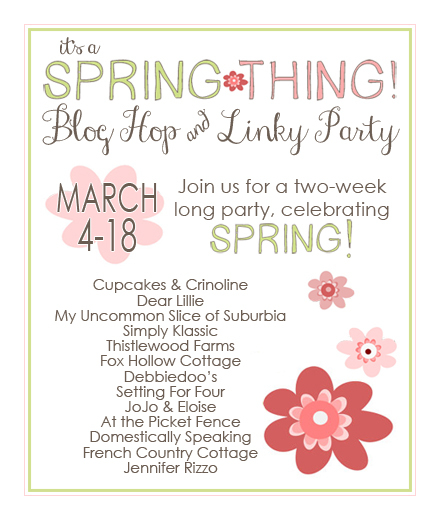 we will be hosting one big It’s a Spring Thing Link party! What a great project for the kids, and that bunny is very sweet. What a beautiful berry basket Jen!Sweet idea for the chocolate basket too! Everything is so lovely! My boys would be chomping at the bit to get to that bunny under glass. I’ll be trying my hand at the chocolate baskets with the kids ~ they’s LOVE IT! 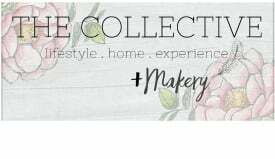 Thanks so much for the inspiration, Jen! What a sweet post. 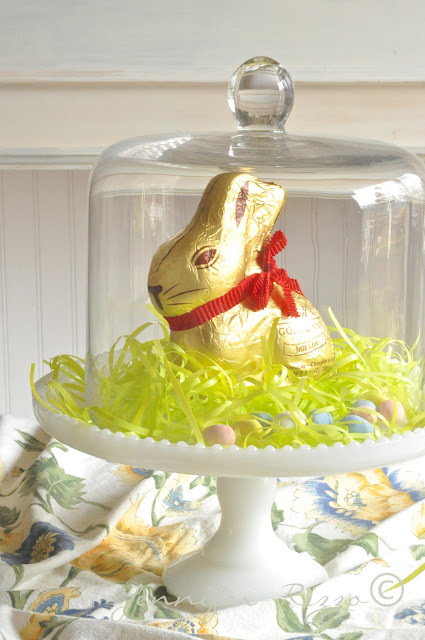 I love the bunny under glass and the cute chocolate basket. How fun. So sweet Jennifer~ Love your bunny and love those chocolate rabbits ~ they are soo yummy!! 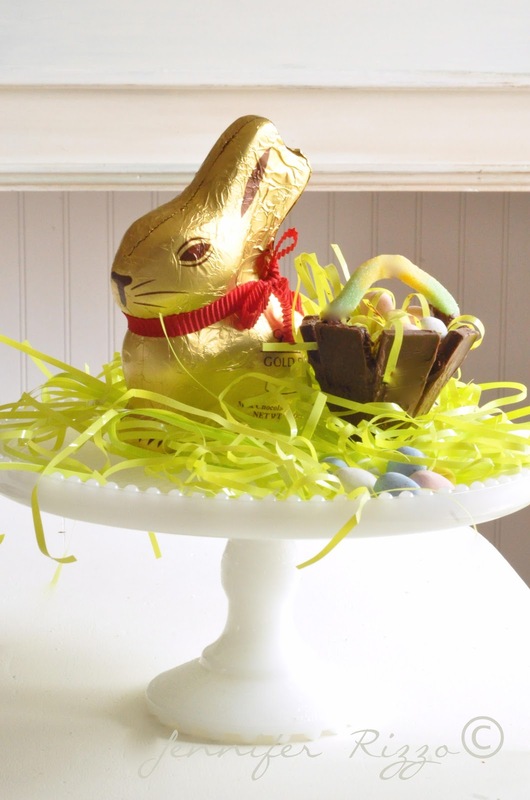 Oh my girls would love to make one of those chocolate Easter baskets! What a great idea! LOVE that berry basket! What a cute idea to make that candy bar basket! 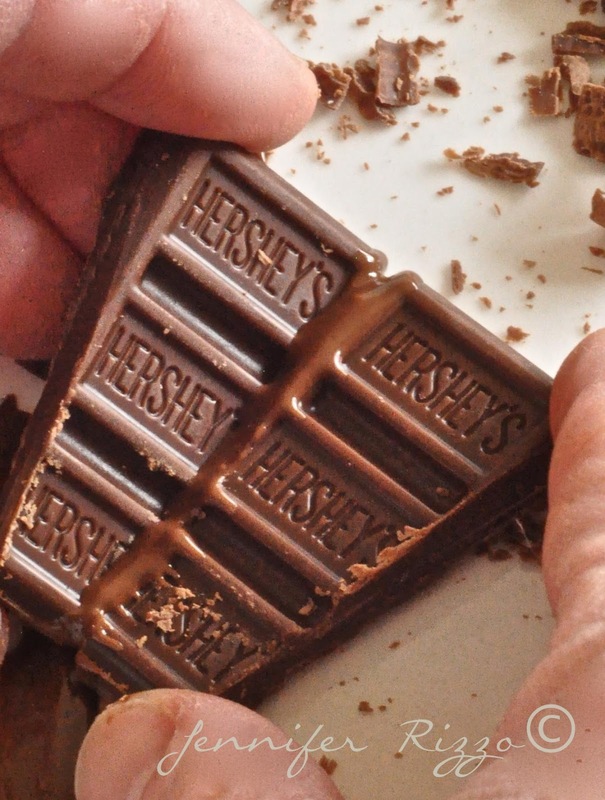 And all I do with a Hershey bar is eat it…..who knew?